Are Modular Cold Rooms Suitable for Food and Drink Retail? Modular Cold Rooms are an excellent cold storage solution for businesses which need a versatile, adaptable and efficient cold room. Nowhere is this more true than in the food and drink industry, with restaurants, hotels, supermarkets and many other retail outlets in the position to benefit from the many advantages they bring to the table. 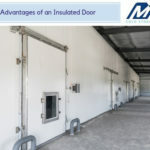 A modular cold room is a cold room made up of prebuilt insulated panels, which connect together alongside a cooling unit to form the cold room. The modular cold rooms for sale from MT Cold Storage Solutions are all made up of PUR-insulated panels, which offer a lightweight construction with unbeatable insulative properties. 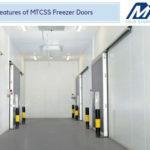 The modular cold rooms for sale from MT Cold Storage Solutions can be set up quickly and efficiently, with turnkey installation which works around your existing business to prevent disruption to operations while the installation is taking place. In the case of restaurant cold storage or hotel cold storage, this is particularly desirable, since even during an unexpected rush, your business will be able to work and adapt to the new conditions while the modular cold room installation is going on. Why Choose Modular Cold Rooms for Food and Drink Retail? When you are choosing a cold room, you should consider modular cold rooms – they have several distinct advantages when it comes to food and drink retail – adaptability, hygiene, efficiency and quality. 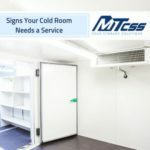 The modular cold rooms for sale from MTcss are a particularly adaptable cold storage solution for any industry, since their constituent panels can simply be slotted together or taken away as needed. A modular cold room can be set up quickly and easily, providing the extra storage needed by a seasonal businesses during peak times and reducing energy expenditure in the off season, or allowing easy expansion as necessary. In food and drink retail, seasonal offers and changes in demand can often dramatically influence the amount of cold storage needed – meet the changes head-on with the versatility of a modular cold room! 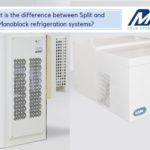 The wipe-clean modular cold room panels from MTcss are connected by PVC angular joints and panel edges for the best possible hygiene standards. Easy to clean to a high standard, resistant to contamination, and coloured white to easily show any spills or sites in need of attention, a modular cold room from MTcss will help your restaurant, shop or café to meet their hygiene requirements with minimal effort! The modular cold rooms for sale from MT Cold Storage Solutions don’t compromise on efficiency to achieve their incredible versatility – the PUR core panels used as standard in our modular cold rooms are an extremely effective insulator and thermal regulator, providing industry-leading thermal stability and energy efficiency to your restaurant cold room or walk-in freezer. 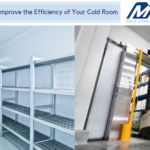 Contact MT Cold Storage Solutions Today for Modular Cold Rooms! If you’d like more information on how modular cold rooms can work to the advantage of businesses in the food and drinks retail industry, you can get in touch with MTcss on our telephone number, 01886 833381, or send us a message via the contact forms on this website! The experts at our head office have been providing modular cold rooms to a range of industries for years, so whether you need to ask a question about restaurant cold storage, seek some advice on food preservation in a modular cold room, or place an order for a supermarket modular cold room, our staff can help!